Oil prices have tumbled to new lows in 2016. Slowing demand and a glut of supply has made the oil market incredibly bearish. But while prices have halved over the past year, the number of mergers and acquisitions has most definitely not. And a surge in deal making can be expected over the coming year. Already there is a US$60 billion deal between energy giants Royal Dutch Shell and BG Group, with a proposed merger of the second and third largest global oil services firms, Halliburton and Baker Hughes, also on the cards. Meanwhile, numerous smaller deals are taking place: two Canadian companies, Suncor Energy and Canadian Oil Sands, recently merged to form the biggest player in one of Alberta’s main oil sands operations. Unlike other industries – where M&A activity tends to follow the economic activity of the broader market – the oil industry is doing the opposite in reaction to falling prices. 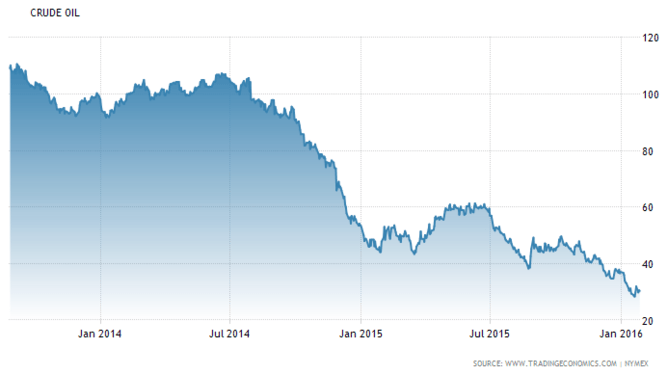 Declines in oil prices over the last two years (US$). In a recent paper colleagues and I examined M&A activity in the oil industry worldwide over the last 12 years. We found that the greatest number of deals took place during a rapid recovery of the oil price to US$70-75 a barrel. But the current climate of low prices also lends itself to a large amount of deal making – it is a necessity for survival and oil company profitability. Recoverable reserves are growing but in ever more inaccessible places – both geographically and politically. Merging is needed simply to maintain production levels and break even through cost sharing. This means that companies should be prepared to deal with approaches from potential bidders – but not rush into anything. The companies in the best position are those with strong balance sheets, which are able to acquire either distressed assets or those sold following other mergers, as a result of anti-trust issues. The oil companies that made big transactions before or during the oil price fall are the ones to watch for balance sheet stress. A number of companies are laden with debt, which has increased substantially across the sector over the last ten years. For example, Spanish energy company Repsol increased its net debt levels significantly up until 2011 and was therefore eager to sell non-core assets. It has just sold a portion of its piped gas business to EDP Group for $150m, which follows a similar sale of assets to Gas Natural Distribución and Redexis for $700m in September 2015. Energy giants Shell and BG group are merging. 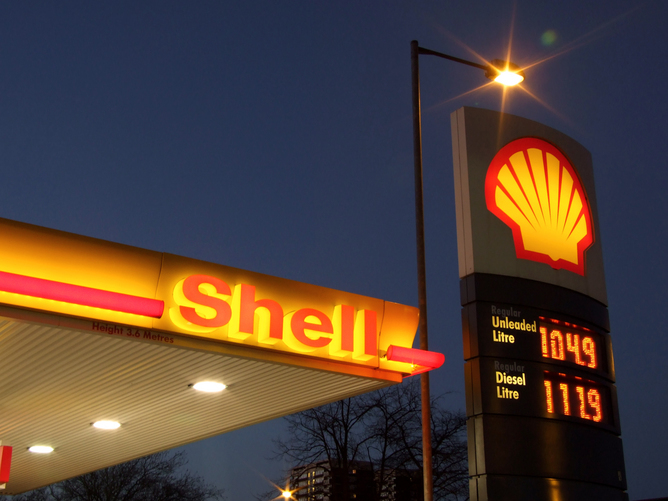 Shell has also announced $30 billion of asset disposals in the next two to three years. The sales are needed to balance the company’s books, to reduce the debt after recent acquisitions. But debt fears linked to the recent commodity price rout are bound to limit the number and appetite of bidders. So, while this deal-making is helping a number of companies survive the low prices, there will be blood – and bankruptcies of over-leveraged companies can be expected. Plus, it’s worth remembering that the weakness in the oil price has implications not just for companies, but for states, too. Saudi Arabia, the world’s second largest oil producer has felt the squeeze of falling prices, which have led to its consideration of listing its national oil company, Saudi Aramco to raise capital. It is an example of something we found in our research – that sales are often driven by necessity and it analogous to forced sales by indebted companies.